At Ashbrook Roofing, we are proud to offer an extensive range of insulation, suitable for roofs, walls and floors. We also stock the means of keeping that insulation in place, in the form of insulation board fixings. 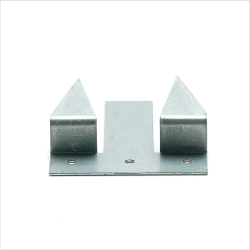 These fixings are designed specifically for insulation boards, such as those used to insulate flat roofs and cavity walls. Quick and easy to install, the insulation fixings grips to boards and are nailed to the timber. Did you know that we also stock a wide range of nails, screws and fixings that are specifically designed for the roofing industry? Like all of the products in our range, we only use high-quality materials that we’d be happy to use in our own roofing projects. Buy insulation board clamps online from Ashbrook Roofing. We offer next day delivery on orders placed before 2pm. We’re also on hand to offer any support or advice that you need to help you complete your building project: simply get in touch with our team of experts.